About The Artist: Mr. Willy (also sometimes known as “Willy Welch”) is a children’s entertainer, picture book author and recording artist who brings his songs and stories (and sometimes puppets) to schools, churches, child care centers, preschools…wherever! He performs at hospitals, arts festivals (Montage, Kid-Around, etc.) and birthday parties, bookstores and store openings. He has written over 35 songs for Barney and Friends to sing. He is also a songwriter for the new “Boz the Green Bear Next Door” DVD series. Mr. Willy has written and performed for and with thousands of children under the auspices of Young Audiences of North Texas – leading singing with elementary children and working with them on expressing themselves through their own songs. Mr. Willy has an ability to see the world through a child’s eyes, and the children listening and singing with him know they are with a friend! Willy often performs with his wife, the actress Wendy Welch, as the folk/gospel duo “Wendy & Willy” at camps and churches throughout the country, as well as for Young Audiences. They have recorded three albums together. 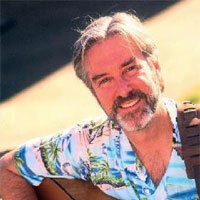 A graduate of the Boston University School for the Arts, Willy Welch has been writing and performing for many years. He is probably best known for penning “Playing Right Field,” the heart-warming tale of an inept little leaguer, which has been recorded and performed by over a dozen recording artists, most notably Peter Paul & Mary, who recorded it for the third time (as a greatest hit!) in 1998 on the CD Around the Campfire. Many people are also familiar with the story as a double-Clio award-winning Pizza Hut commercial! Willy, the father of cinematographer Grady and singer/dancer Molly Bess, is a member of The Society of Children’s Book Writers and Illustrators, American Society of Composers, Artists and Publishers, Actors Equity, and the Episcopal Church of the Transfiguration.